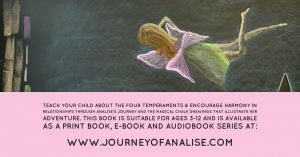 This set includes a full color illustrated e-book version of The Journey of Analise: A Child’s Journey Through the Temperaments (in ANY format you request: Kindle, Nook, iPad, etc…), a 90-minute instructional chalk drawing video and an e-book with step-by-step instructions for creating all twelve chalk drawings in the book AND the entire MP3 series. This series costs $65.00 with the physical copy of the book but you save $40.00 by purchasing this set with the e-book. 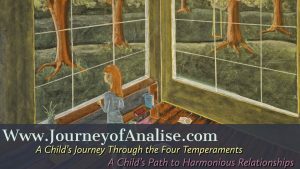 This book can also be used to teach children about the four temperaments. This book was originally published as an MP3 series and due to popular demand was made into a print book. 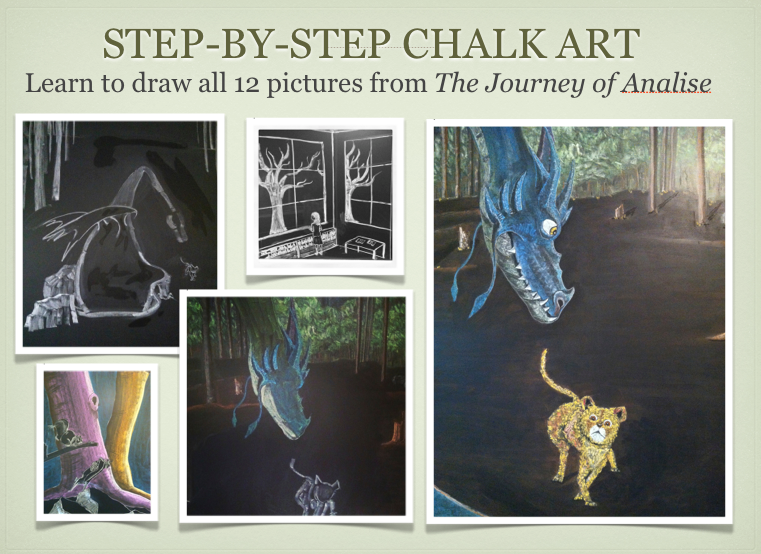 To honor the magic of the journey artist Robyn Wolfe has created 12 magical chalk drawings for the book. This book is not eligible for any additional discounts. 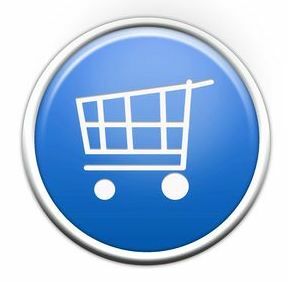 If you have a discount code you will not be able to use it for this purchase.